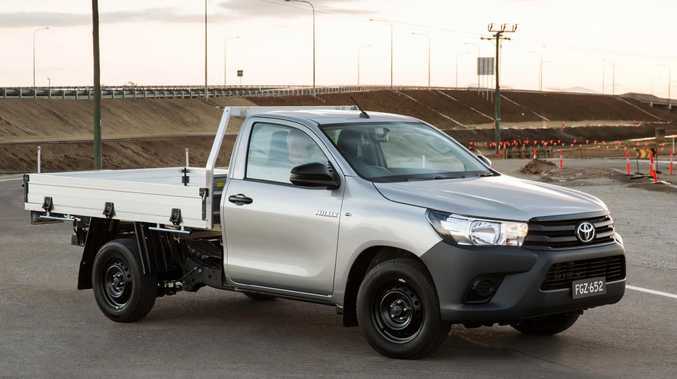 The Toyota HiLux ute is one of Australia’s top selling cars. WILL Australians lose the SUVs, utes and vans they love - to accommodate the rise of the electric car? Fears have been raised that people's cars will be taken away from them after Labor unveiled an ambitious policy to support the take-up of electric vehicles. It wants 50 per cent of all new cars sold in Australia to be electric by 2030 and also plans to introduce a carbon emissions target for new cars. The plans have raised a number of concerns about electric cars and whether people will still be able to buy the vehicles they love. So what's the deal with electric cars and Labor's new emissions targets? HOW LONG DO THEY TAKE TO CHARGE? A lot of figures have been thrown up about how long it takes to charge an electric car, and it all comes down to how big the car is and what type of charger you use. When Labor leader Bill Shorten was asked how long it would take to "charge it up" on the Kyle and Jackie O radio show last week, he said eight to 10 minutes. "It depends on what your original charge is, but it can take … eight to 10 minutes depend on your charge, it can take longer," he said. Crucially, he added: "It depends how flat your battery is". If you are only topping up your car's battery at a superfast charging station, it may only take eight to 10 minutes if all you're wanting to do is drive the 15 minutes home. But charging an empty battery to full power takes longer. It depends on how big your battery is and what type of charger you are using. According to UK electric vehicle charging provider Pod Point, a small car such as the Nissan LEAF, which has a 40kWh battery, can be fully charged in one hour using a fast charger. This will allow it to travel up to 230km. But if you are charging at home, it takes up to six hours using a special converter or about 11 hours using just your normal household power point. The Tesla Model S Long Range, which can travel up to 480km, is able to use a special supercharger to power up its much bigger 100kWh battery, also in one hour. But it can take between six to 27 hours to charge at home, depending on whether you have a normal power point or are using a special adaptor. On Sunday, Wiebe Wakker arrived in Sydney in an electric car he drove from his home in the Netherlands. Mr Wakker's car had a small 37kWh battery that only allowed him to drive a maximum of 200km. But he made it across Europe and through Turkey, Iran, India, Myanmar, Malaysia, Indonesia and across the Nullarbor to Sydney. His car, an older model produced in 2009, had a slow charging rate, and so it took him up to 15 hours to recharge using normal domestic power points in Australia. But at commercial charging stations, he was able to fill up in about 20 minutes. Mr Wakker said he only ran out of charge four times on his world trip and these all occurred in Australia. "To make it more convenient for long-distance travelling, infrastructure needs to step up," he said news.com.au. However, he noted that most electric cars sold in Australia could now travel distances of up to 450km, and this was enough to get by. "I estimated that if you have a battery with a minimum range of about 300km, Australia is really easy to travel through. You can even turn on the airconditioning and not worry about the energy used." Mr Wakker was able to find places to charge his car on plugshare.com but says this often involved using normal power points, which take longer. "At some point, to really be convenient, you need to put into place fast chargers," he said. The cost of charging an electric vehicle varies depending on where you live and how expensive your power is - but it's a lot cheaper than filling your tank with petrol. According to the blog My Electric Car, the average price for electricity in Australia is $. 025 per kilowatt hour, and it takes about 18kWh to travel 100km. So it costs about $4.50 in electricity to travel 100km. In comparison, it costs about $16.65 to travel 100km if petrol is $1.50 a litre. This is based on the average petrol car using 11.1 litres of fuel to travel 100km. At the moment, electric cars are more expensive to buy. There are only four models available in Australia priced at less than $60,000. However, it's expected that EVs will become cheaper and will be the same price as petrol cars by about 2025 - that's just six years away. ARE THEY WORSE FOR THE ENVIRONMENT? Critics of electric cars point out that their carbon emissions can be worse than some petrol cars. This is because 63 per cent of the electricity in Australia in 2016-17 is still being sourced from coal-fired power stations. However, once more renewable energy is added, emissions will improve. In his review of the national electricity market, Australia's chief scientist Alan Finkel noted the uptake of electric vehicles - combined with a decarbonised electricity grid - could help to achieve significant emissions reductions in the transport sector, which accounted for about 18 per cent of Australia's emissions in 2015. The CSIRO Energy Roadmap has estimated electric vehicles could reduce carbon emissions by about 15-25 million tonnes by 2030. Despite its criticism of Labor's electric car policy, the Coalition's own climate change policy was projecting electric cars would make up between 25 per cent and 50 per cent of new car sales by 2030. Environment Department officials on Thursday confirmed to Labor senator Kristina Keneally the Government had been eyeballing a similar electric vehicle target to Labor's. CAN THE POWER GRID HANDLE IT? Electric vehicles will place more demand on the power grid, but experts have suggested this can be managed. Labor has set a target that 50 per cent of new cars be electric by 2030 and it seems this ambitious goal will require careful management of the grid. A report done by Evenergi and Australian Renewable Energy Agency, looked specifically at South Australia, but was also intended to inform policy around Australia. It noted that it was difficult to predict the impact of electric cars but did not predict any significant problem for the grid up to 2025. However, even without Labor's target, the report pointed out the EV market would grow rapidly from 2025 and the network needed to be ready for it. "This will require appropriate management of load and therefore a consciously crafted network architecture - with the ability for demand side control," the report said. 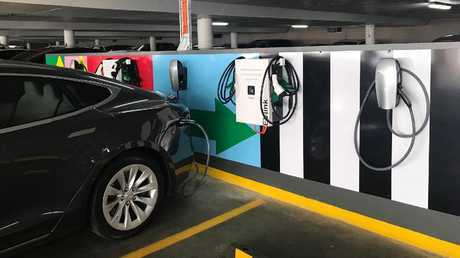 It said the greatest risk to grid stability was "hotspots" of public charging stations in carparks, highways or in places were lots of vehicles gathered, such as bus fleet carparks. In residential areas a higher than expected number of fast home chargers located close together could also create issues. The report said "demand management" could address hotspot issues. This could involve incentives being offered for people to charge their cars at certain times when excess power is being produced. It was also crucial that networks were informed of plans for new chargers and these should also be registered once active. Grattan energy program director Tony Wood said the biggest problem was if everyone installed a fast charger at home and plugged their cars in at the same time when they got home from work. "It would be the equivalent of several airconditioning units all being turned on at once," he told news.com.au. Mr Wood said there needed to be integrated planning to prevent problems like the blackouts that had occurred in South Australia for example, with the rise of renewables. "There are issues that need to be addressed, but there's no reason why they can't be managed," he said. Meanwhile, a potential benefit for the grid, which has not yet been commercially proven, is for electric cars to provide energy back to the grid during peak times. In this way the car could function as a large battery. WILL WE LOSE OUR BELOVED CARS? The Coalition is going hard on Labor's policy, with the Prime Minister Scott Morrison saying the party had declared "war on the weekend" and were stopping Aussies from buying vehicles "with a bit of grunt". Energy Minister Angus Taylor also tweeted a photo of an electric car plugged into a generator to mock Labor's policy. Despite the fearmongering, Labor's target for 50 per cent of new cars to be electric doesn't mean people will be forced into buying electric cars. However, the types of petrol cars that are available in Australia could change because of Labor's plan to introduce a vehicle emissions standard. Emissions of new cars would be restricted to less than 105g of carbon per kilometre. This is the same as the US standard but higher than the European standard. Mr Taylor told Chris Kenny on Sky News most vehicles in Australia didn't reach those standards. And it's true Australians love heavier vehicles such as SUVs, utes and vans. Unfortunately, these vehicles use more fuel and are more carbon intensive because they have larger engines. According to an information paper released by the National Transport Commission last year, the average emissions from new passenger and light commercial vehicles in Australia was 181.7g/km in 2017. 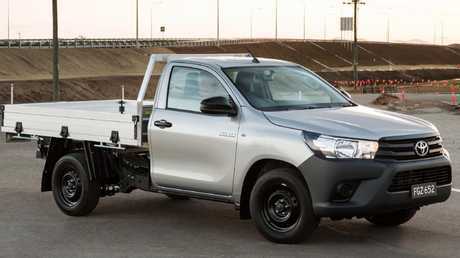 And the top three highest-selling car models in Australia were the Toyota HiLux ute, the Ford Ranger ute and the Toyota Corolla. Ninety-two per cent of all new cars sold in 2017 were one of 15 makes, and none of these had emissions low enough to be considered a "green" model (with emissions lower than 120g/km). This is partly because Australia is one of the only developed nations in the world without a carbon emissions standard for cars. But it can't hold progress back forever. Interestingly, carmaker Toyota is one of a number of manufacturers already developing electric and lower emission vehicles. It has a zero emissions target by 2050 for its sites and vehicles. A Toyota spokeswoman told news.com.au it welcomed Labor's announcement on the emissions target and supported, in principle, initiatives that helped to reduce the environmental impact of transportation. Last year Toyota vice-president of national operations Sean Hanley even went as far as calling for politicians to introduce emissions targets but said this should be done at the same time as introducing tougher fuel quality requirements. "Australia must harmonise its emissions standards with leading overseas markets," Mr Hanley reportedly said during the launch of Toyota's new Corolla. But the car industry has warned it would be unable to meet Labor's new emissions target using the petrol currently available in Australia. They are pushing for new sulphur standards but Australia's fuel refineries say this would force them out of business, according to The Australian. Environment Minister Melissa Price recently postponed fuel standard improvements until July 1, 2027. The Toyota HiLux ute is one of Australia’s top-selling cars. Mr Hanley also dismissed reports emissions targets would kill off the rugged diesel vehicles that Toyota was known for but said targets should distinguish between passenger cars and work-orientated commercials and certain 4x4s. He said Toyota had a responsibility to "take a stand" and was not waiting for emissions laws to be enacted in Australia. "We can assure you, Toyota is not waiting for emissions laws to be enacted," Mr Hanley said. 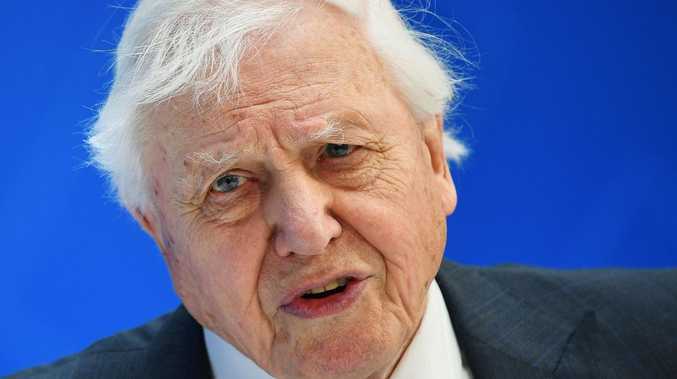 "We recognise all car makers must reduce the environmental impact of their vehicles. The impact of mass-market hybrids is vital, and no-one knows hybrid better than Toyota." According to caradvice.com.au, about 40 per cent of Camrys sold in Australia have been hybrid drivetrains, and a new RAV4 SUV will also be available as a hybrid for the first time. The Federal Chamber of Automotive Industries, which has been calling for an achievable emissions target for some time, also welcomed Labor's policy announcement. "The key is to implement achievable emissions targets, designed in consultation with industry, as part of the transport sector's contribution to lower overall emissions.," FCAI chief executive Tony Weber said in a statement. "It's well known that Australians love their sports utility vehicles (SUVs) and light commercial vehicles (LCVs). Our market is made up of approximately two thirds SUVs and LCVs and one third passenger vehicles (PVs). "We need to have a realistic and stepped approach to the implementation of emissions targets."